Police in the town of Colac, west of Melbourne, say that issues with Google Maps can put users' lives at risks when driving along Great Ocean Road and in souther Otways, according to a report from the Australian Broadcasting Corporation. Google Maps has reportedly sent drivers down Wild Dog Road, a one-way road not intended for heavy traffic. The warning comes soon after police in Victoria separately cautioned that Apple's new iOS Maps application has caused a number of travelers to be stranded in the remote national park. A police bulletin said that over the past few weeks, a number of rescue operations were carried out as motorists became stranded in the Murray-Sunset National Park on their way to Mildura. The area has poor cell phone coverage, which forced some travelers to walk long distances without food or water to call authorities. Apple quickly responded to the issue and pushed out changes to its mapping software to accurately reflect the actual location of Mildura hours after the police bulletin gained international publicity. 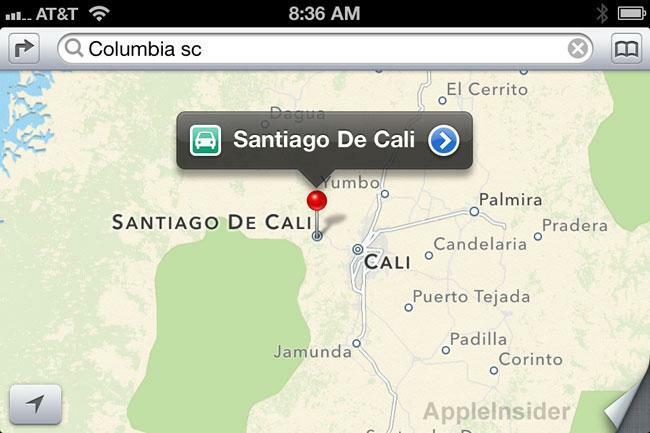 Apple's iOS 6 Maps application has been a lightning rod for criticism since the software launched in September. General consensus has been that Apple's solution is inferior to the software it replaced, which was powered by Google Maps. Both police notices in Australia make it clear that no mapping solution is perfect or 100 percent reliable. Most issues, however, are not usually life threatening, as in the case of a new airfield that was mistakenly placed in Dublin, Ireland in Apple's iOS 6 Maps. The issue prompted Minister for Justice Alan Shatter to write a tongue-in-cheek letter to Apple to bring attention to the issue, in which the town of Airfield was mistakenly labeled as an actual airfield. "I know on occasion mistakes can be made and I am surprised to discover that Airfield, which is the centre of my constituency in Dundrum, has, in Apple's new operating system iOS 6 maps application, been designated with the image of an aircraft," Shatter wrote to Apple.